Our high quality Patio Circles are great for bringing a decorative touch to a patio or garden and are available in Grey, Sandstone, Charcoal or Terracotta Colour Combinations – available to mix and match to your design – YOU CHOOSE! 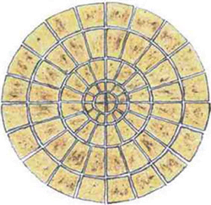 These stunning three metre diameter Sunrise patio circles are also available as a squared off kit and can easily be incorporated into existing paving for a seamless look. 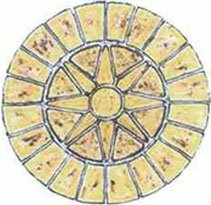 We pride ourselves on our ability to produce high quality, durable and affordable Patio Circles and paving that reflect our high standards and attention to detail. 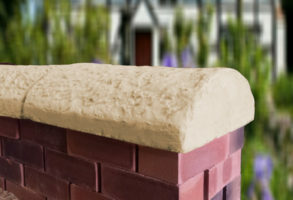 Our Twice Weathered Apex Coping Stones provide an ideal finishing touch to your wall and offer excellent protection at affordable prices, safeguarding your masonry from the rigours of the British weather. All our coping stones are manufactured here in the UK. You can view our full range of Coping Stones here. For queries on placing an order, delivery, returns policy, product care and installation read our Terms and Conditions page here, or give us a ring on 0191 217 0002, we’d love to hear from you and one of our experts will be at hand to help with any of your questions. These copings look great on an older property, part of our classic range that includes our amazing Victorian Coping, designed to match the old deep Coping Stones that were used on many a house across the UK in the Victorian era. Our cottage wall copings provide an ideal finishing touch to your wall and offer excellent protection at affordable prices, safeguarding your masonry from the rigours of the British weather. All our coping stones are manufactured here in the UK. 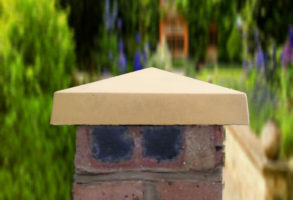 You can view our full range of Coping Stones here. Our cast stone pier caps provide the ideal finishing touch to a gate post, pillar or stone/brick gate pier. Our Traditional Pillar Caps are available in a wide range of sizes and profiles to perfectly match your pillars and posts. Need any advice on sizes and fitting? Just give us a call! We love to help. One of our experts will talk you through the process and be at hand for any queries. 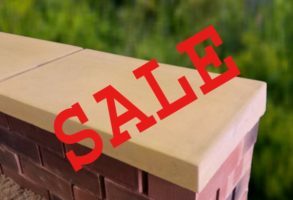 Our Traditional Pier Caps provide an ideal finishing touch to your brick pillars and offer excellent protection at affordable prices, safeguarding your masonry from the rigours of the British weather. All our pier caps, coping stones and patio circles are manufactured here in the UK to the highest standards.